New release! Ships on April 13, 2018. 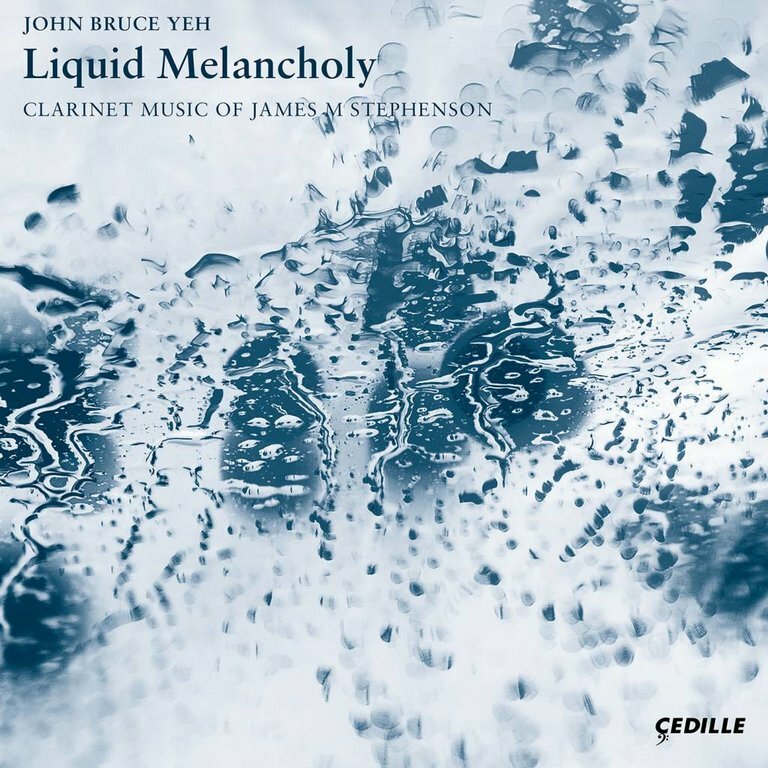 Liquid Melancholy, featuring virtuoso clarinetist John Bruce Yeh of the Chicago Symphony Orchestra, exudes a kaleidoscope of colors and moods while showering listeners with attractive melodies in a program of music by James M. Stephenson, one of America’s most popular and prolific present-day composers. The Boston Herald has praised Stephenson’s "straightforward, unabashedly beautiful sounds." The Minnesota Star Tribune calls him "a composer of real talent." Receiving its world-premiere recording, the title track, Liquid Melancholy, is a concerto for clarinet and orchestra that explores the instrument’s fluid lyricism and vast tonal and expressive range. It also marks the commercial recording debut of the Lake Forest Symphony, an acclaimed Chicago-area professional orchestra whose music director, Vladimir Kulenovic, earned the 2015 Sir Georg Solti Conducting Award and was named that year’s "Chicagoan of the Year in Classical Music" by the Chicago Tribune. John Bruce Yeh founded the Grammy Award-winning Chicago Pro Musica ensemble, members of which join him in two works. Colors, for the novel palette of clarinet, oboe, and string quartet, evokes an angry Red, bluesy Blue, rustic Green, and brilliant White. Scored for clarinet, piano, and strings, Stephenson’s whimsically named Last Chants channels ancient, exotic sounds of the Near East. Intimate works for clarinet and piano include Étude Caprice, a literally breathtaking sprint for the clarinetist and a thrill for the listener. Fantasie is a lyrical extravaganza of waltzes, scherzos, and dances. Stephenson’s virtuosic four-movement Sonata for Clarinet and Piano is dedicated to Yeh, who gave its concert premiere.